Central Austin has long been one of the most desirable areas to call home, and it’s easy to see why. As we say in real estate, it’s Location, Location, Location, and when it comes to being close to work, dining, parks, museums, shopping, and nightlife, everything is at your fingertips. With a mixture of historic homes, mid-century suburbs and contemporary condominiums, Central Austin is a smorgasbord of home buying opportunities to suit every taste. Because of the convenience and charm central Austin living provides, you’ll pay a premium for living here, but you get what you pay for. And while there are pricy penthouses and multi-million dollar homes throughout the area, you can also find charming bungalows, mid-century ranch homes and contemporary lofts that are considered affordable by Austin standards. The network of neighborhoods within the Central Austin parameters include close-in, Downtown areas as well as South Central and North Central communities. The idea of Central Austin has greatly expanded over the years and today, we think of a much larger “central” area than we did 30 years ago! If you’re located north of Ben White Boulevard, east of Interstate 35, south of Hwy 183, and west of Town Lake and Mopac (north of 2222) you’re in Central Austin. 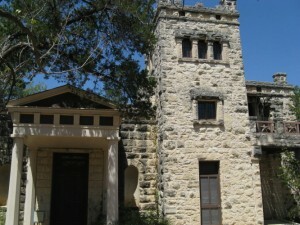 Well known Central Austin neighborhoods include the Hyde Park Historic District and the Old West Austin Historic District. Other charming place names you’ll recognize are Pemberton Heights, Bryker Woods, Clarksville, Rosedale, Tarrytown, Highland Park, Deep Eddy and West Campus. South of the Downtown area and across Town Lake are the Travis Heights, Barton Hills, Bouldin Creek, and Zilker neighborhoods; and north of Koenig Lane (but still centrally located) you’ll find Brentwood, Crestview and Allandale to name a few. It seems that there’s always a festival, a race, concert, or parade happening somewhere in Central Austin! 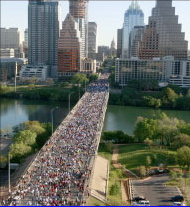 Whether it’s the monthly First Thursday events along South Congress (called SoCo), the annual Capital10K races that wind their way through downtown, the Austin Museum of Art’s “Art City Austin” in April, SXSW in March, Austin City Limits Festival at Zilker Park, there are hundreds of events happening almost every weekend. And if you just want to enjoy the simple life, the Austin Children’s Museum, the Texas State Capitol, Whole Foods Flagship Market, the Bob Bullock Texas History Museum, Zilker Park, Mexic-Arte Museum, fine dining establishments and nightclubs galore are all easily accessed by foot, taxi, pedicab, or horse-drawn carriage! There’s no doubt why Central Austin is in such demand by singles, professionals, families… what’s not to like? Live here and find out why Austin is consistantly rated in the top 10 places to live in the U.S.!